Girl scouts proudly show off the tree they just helped to plant. 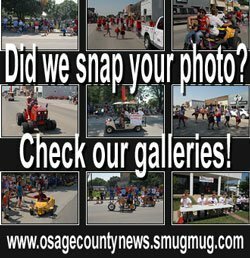 The Osage City Tree Board celebrated Arbor Day with local scouts. 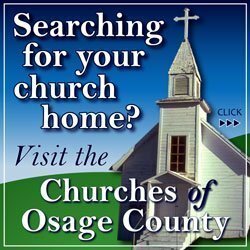 On Oct. 17, 2017, Osage City Cub Scout Pack 106 planted a Sienna Glen Maple provided by the tree board. Jason Hodge demonstrated the correct way to plant a tree and care for it. The scouts finished the job by filling in the hole and adding bark and water. 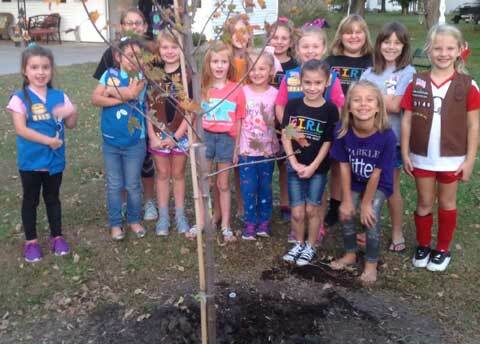 On Oct. 19, board member Bob Plinsky demonstrated the correct way to plant a tree to Osage City Girl Scout Troop 30149. The scouts finished by watering Sienna Glen Maple. Each scout received information on tree care and planting along with a red bud seedling from the board. 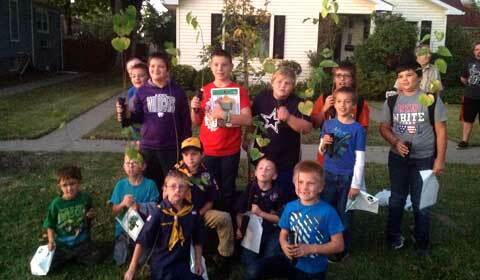 Cub scouts show their red bud tree seedlings. 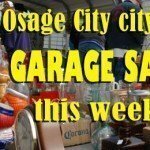 Information and photos thanks to Brian Stromgren.